Today’s Timeless Tuesday challenge hostess is Maki. Her challenge is to use a Bird image and/or elements for your creation. I had recently seen the Faux Tarnished Metal technique on Shelly Hickox blog and wanted to try it out. I started by cutting Grunge paper with Tim’s Mini Bird & Cage set. I used the FauxTarnished Metal technique for the cage and the Crazed Porcellain technique on the bird. I cut a strip of MME Lost & Found 2 Blush Patterned Paper with the Mini Paper Rosette Decorative Strip Die. The Rosette was adhered to a piece of Neenah Solar White cardstock, cut and embossed with a Tear Drop Circle die and the bird and cage were adhered on top of the rosette. A 3 1/2″ x 4 3/4″ piece of Rosy Patterned paper was sanded and stitched to a 3/16″ bigger piece of Kraft cardstock. A 4 3/4″ long strip of white paper was cut with the Faux Crochet Dienamic die. A 2″ x 4 3/4″ strip of Rosy paper was sanded the Faux Crochet Strip was adhered under underneath the paper strip. The strip was adhered over the stitched layers and Ivory Organdy Ribbon was tied around the horizontal strip. The layers were adhered to the card base, a 5 1/2″ x 8 1/2″ piece of Solar White cardstock, folded in half. The bird layers were adhered to the left hand side with dimensional. A pennant was cut and embossed with a Nested Pennant die and stamped with images from the Birthday Pennant stamp set. Part of a Finesse Rhinestone Swirl finish the card off. This is just beautiful! So many points of interests with the bird making a wonderful focal point. Love the bling and layers! Great card – tons of great layers and texture!!! 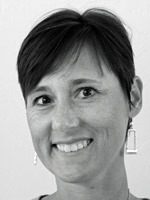 Beate!!!!! what a terrific card. I have the big bird and cage but I really like what you did with the mini here on your card. also like the green background paper. Wonderful! Someone’s been having fun with her new dies, lol! LOVE this card – you always do such beautiful work. So glad you had a try at my technique!! Such a sweet card Beate! 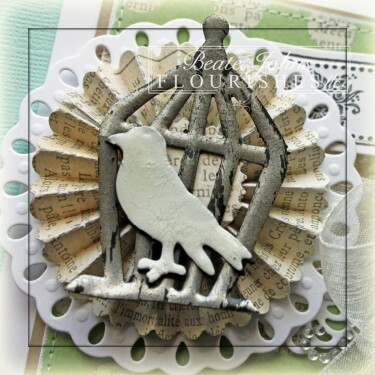 Love the TH die cut bird and bird house! Oh, I love this, Beate! The bird and birdcage are wonderful! This is so pretty Beate! I love the technique you used! It gives such a cool effect for the birdcage and bird. I love your pennant and the focal bird and cage. Gorgeous work, Beate! Lovely card. 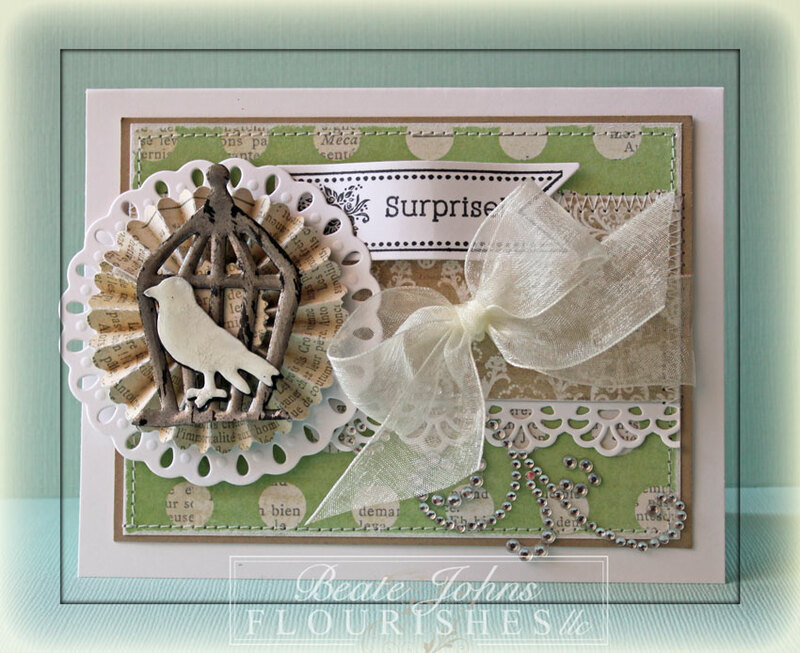 That text print rosette is fabulous as are the bird and birdcage dies! I’m going to try to play along with this one! Fabulous card, love the cage and bird and that gorgeous bow! this is such a adorable card :)! you are talented with matching this! Very elegant and so pretty!